While not all, most toilet leaks are easy to identify - from hissing and trickling to physical water on the floor. Where the toilet is leaking from can vary in location and severity. All toilet leaks should be addressed immediately to avoid water damage to floors, walls, and ceilings. A running toilet is the most common type of toilet leak. Running toilets, or leaks from the tank to the bowl, can often be completed by a homeowner with a toilet repair kit from your local hardware or super store. However, toilets can vary widely by manufacturer and home builder - from flappers and tank levers to flush valves - so you should at the very least take a look at what your current kit looks like, or more proactively, remove the parts and take them with you. If you are unable to repair a toilet with a repair kit, call a professional plumber. Homeowner, Tenant or Business Owner - Always Know Where Your Water Shut-Off Valves are Located from Day One! The best way to avoid small problems becoming major emergencies is to know where your water shut-offs (main, toilet, faucet, water heater) are located and to routinely check that they are functioning properly. Don't wait for an overflowing toilet to learn that your shut-off valve has calcified and won't turn. Most other types of toilet leaks should be completed by a professional plumber. Especially leaks around the base of the toilet. 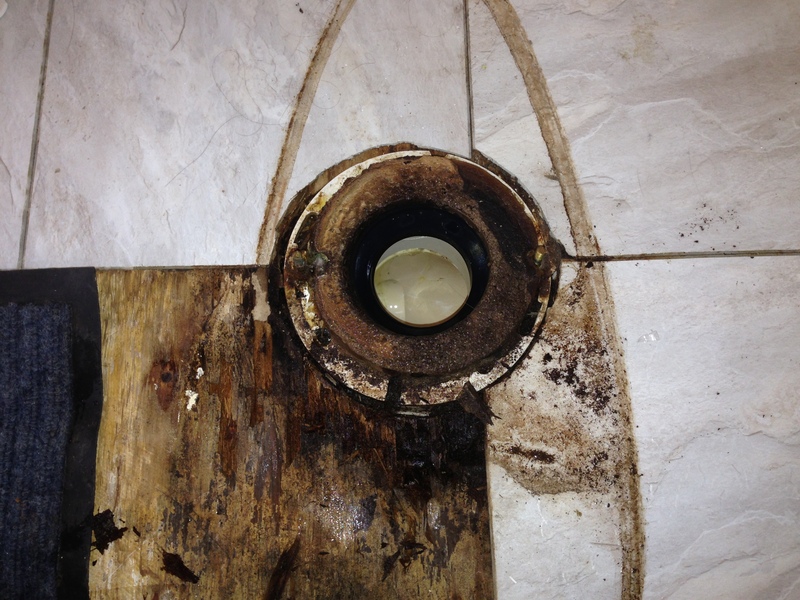 Failing to correctly seat and seal a toilet base can be disastrous - often leading to extensive water damage beneath the toilet and the home's foundation before visible damage is noticed around the toilet and bathroom floor. Get professional, fast, effective Indianapolis water damage restoration and structural drying services from AquaDry Midwest! Do-it-yourself toilet installation had improper seal causing severe water damage, including wood rot and mold.